As an online seller, any missteps made throughout the buyer's journey present a risk to your company. Every missed customer expectation demonstrates that you can't keep your promises, a key principle of any brand. Therefore, it is the responsibility of eCommerce teams to implement simpler methods of collecting information from customers. How can eCommerce companies improve the customer's experience while minimizing the risks of incorrect order data? Many of our Shopify and Shopify Plus clients were happy to learn that Google Autocomplete will be available for free ahead of Black Friday Cyber Monday this year. Shopify found through testing of Google Autocomplete an increase in conversion rate, and nearly 20% time savings and error reduction on mobile. Autocomplete is a great tool because, as they point out, the friction of data entry nearly disappears when a form helps customers complete itself. For certain high-volume retailers, finding a more robust suite of tools for keeping data clean won't go unnoticed with customers. Based on a collaborative research report with Addressy and Internet Retailer, we observed positive brand sentiment emerge when participants browsed prototypes with address verification tools in place. I'm much more confident about shopping and shipping on this website because it wants to be accurate with address (so it probably wants to be accurate with my order and other details). 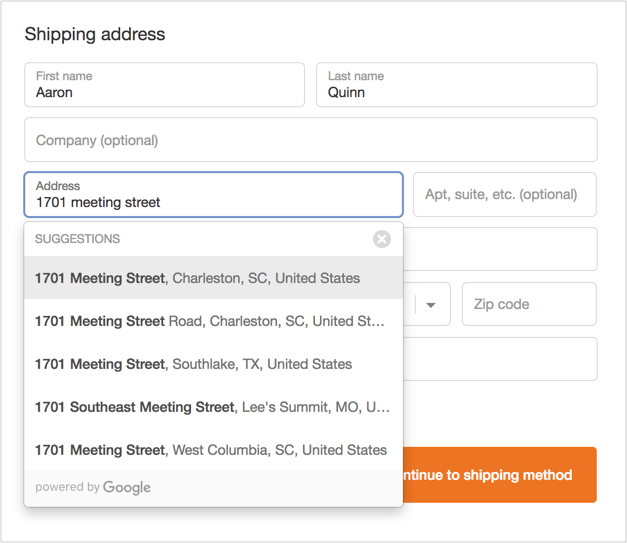 Addressy's tool for address validation can also be contained within a single form field, rather than the traditional 5-field forms. For mobile orders this is especially convenient for customers, particularly when mobile conversions are on the rise. 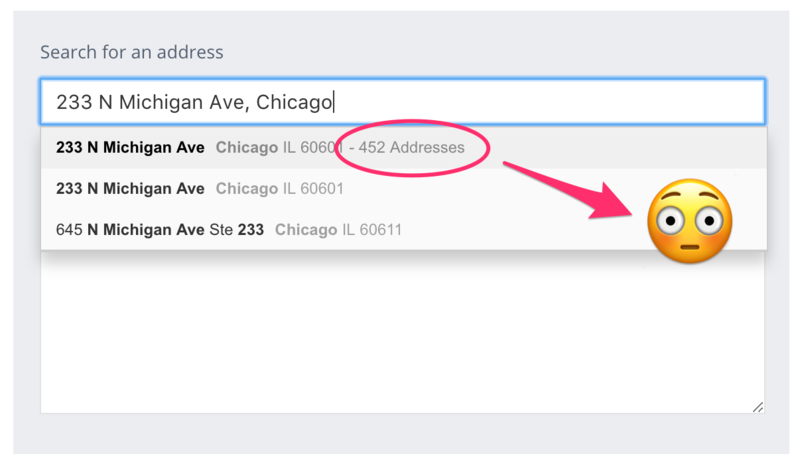 Address verification is also helpful in situations where a customer lives in multi-family housing, or occupies a portion of a large office building. Which form fields within checkout are producing bad data? How many mishaps are happening on mobile devices, where form entry can be more tenuous? Did missing apartment or suite numbers have anything to do with un-deliveries™? How many errors occurred during high gift-giving periods? The holidays are a time when people are shipping to addresses they don't occupy. If you have a high proportion of data-related problems on orders where where the billing address and mailing addresses don't match then address verification could be a necessity. What ratio of abandoned orders are on mobile devices? Run an A/B test to see if implementing a tool like Addressy positively impacts your preferred metrics. Sharing our ideas with the eCommerce community and what we learn from research is important to eHouse Studio. If diving into address verification and giving customers a great experience is exciting to you, check out our study with Addressy and Internet Retailer. Thanks for reading!